Assemble a simple sundial, and watch its shadow move over the course of a lesson. Find an open area that shadows will not pass over during the course of the lesson, and that will not be disturbed by other students. Set the stick upright in the bottle. Draw a line along the shadow of the stick and mark the time at the end of it. Every 30 mins, draw in the new position of the stick's shadow. Observe how the shadow moves over time (it is surprisingly fast). As the earth rotates the position of the sun in the sky changes, so the shadow rotates around the stick. Hence the position of the shadow can tell us how much time has passed, therefore the time. Over the next day or so, the time can be predicted from the position of the shadow. The length of the shadow depends on how high the sun is in the sky, and will change with the time of day and the seasons. 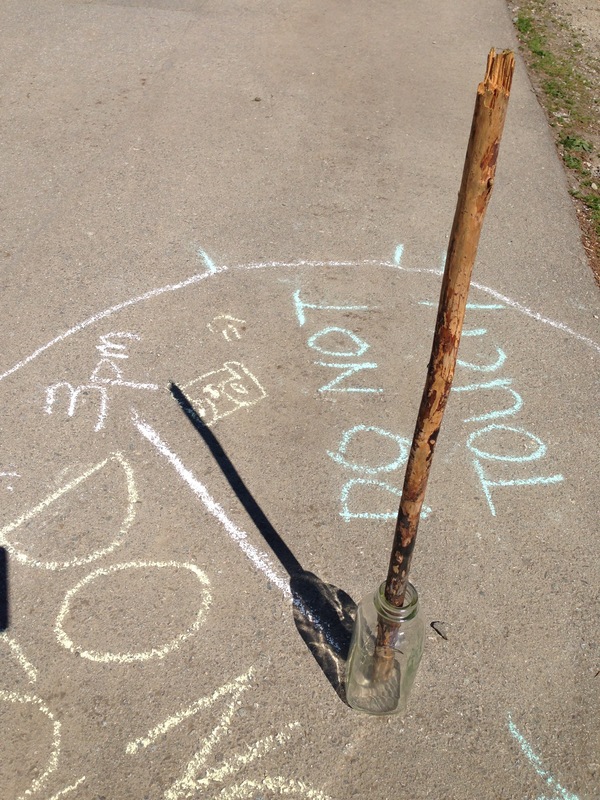 Note: this simple sundial with an upright stick will not work for telling the time over the course of the year. Precise sundials are at an angle, and have more complex readings for measuring time.